The Senior Home International was held near Southampton last weekend. After finishing ahead of Wales in 2009, the team were hopeful of repeating the feat this year. 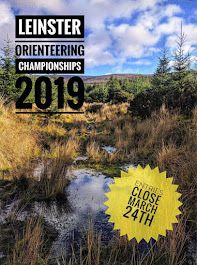 With a number of orienteers returning to the international scene, the Irish team was one of the strongest for many years. A tricky relay in Pamber forest on Saturday saw good results from the men's team finishing in 7th and 8th position, with the team of Darren, Conor and Ruairi best of the Irish. In the women's competition, Faye, Olivia and Ros finished 9th. This meant that overnight, the Irish team was one point behind the Welsh. Relay results and scores. The individual day dawned bright and sunny and team Ireland were ready to overcome the 1-point deficit. The courses were long and fast - M21 was 17km and was won in 80:58. Best of the Irish were Marcus Pinker 10th in M21, Aislinn Austin 12th in W21, Josh O'Sullivan-Hourihan 7th in M20 and Olivia Baxter 10th in W20. The individual titles were taken home by England's Sarah Rollins (W21) and Graham Gristwood (M21) and Scotland's Hazel Wright (W20) and Ali McLeod (M20). Full individual results can be found here. The Irish M21's out-scored their Welsh counterparts but good performances by the Welsh, particularly in W20, secured victory over Ireland. Full scores are here. England took overall victory with a very strong team that included many of the British World Championships squad. A good weekend was had by all and a big thank you is due to the organisers of this event. Also a big thank you to the Irish runners who competed. The 2011 Senior Home International is scheduled for 22nd/23rd October in south Wales.